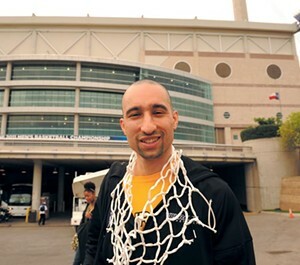 VCU men’s basketball coach Shaka Smart needs a new project. Don’t get us wrong, we’re just as excited to see what his Rams can do for an encore as everyone else who jumped on the bandwagon late. But if Smart can take a team with no star players to the Final Four, maybe he could help out some other beleaguered Richmond projects. 1. Ukrop’s: To revive the company, the Ukrop family need only agree to a slight name change. “Shakakrop’s.” Think about it. 2. Smart Tag: We envision every toll booth emblazoned with a large photo of Smart promising to “wreak havoc” on any driver who tries to speed through without ponying up. Revenue goes up. Pockmarked highways get repaved. Everybody wins. 3. Politics: Smart takes a job as “coach” for prominently placed City of Richmond officials. Imagine a City Council that sets upon the city’s pressing problems with the tenacity of VCU in full-court press mode. 4. CenterStage: Once a week, Shaka brings in the Peppas pep band to play music not written by dead people. The Carpenter Theatre begins to actually sell out shows and ticket revenues fund the joint so that taxpayers don’t have to. Hey, this guy can do the impossible, can’t he?